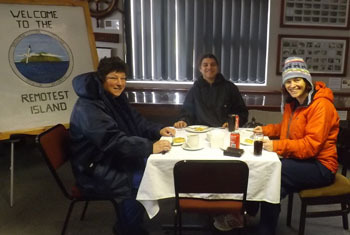 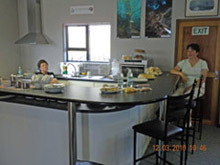 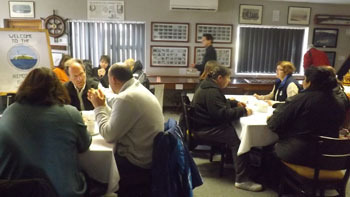 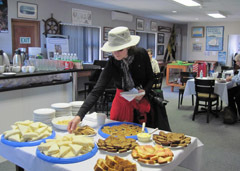 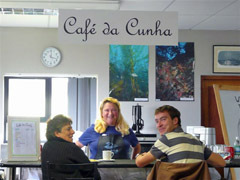 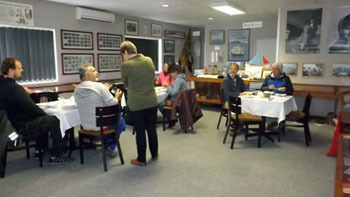 Café da Cunha welcomes visitors for refreshments in Tristan da Cunha's Post Office and Tourism Centre. 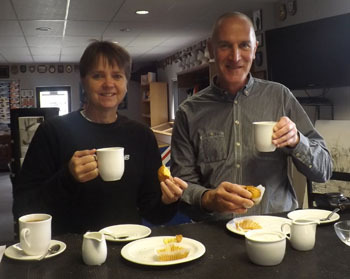 The name Café da Cunha was chosen by Bob Carse from Dundee in Scotland and Bob's prize of a Tristan Recipe Book will follow on the next ship. 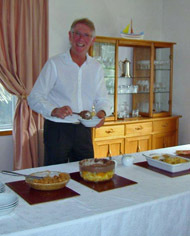 Photograph left shows Bob helping himself to pudding at The Residency. 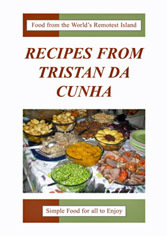 Perhaps he'll be back for 'afters' in Café da Cunha soon! 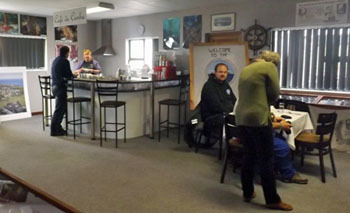 The venue until March 2013 was known as 'The Coffee Shop'. 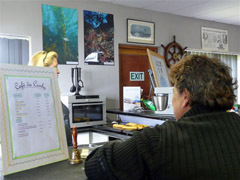 After opening in 2010 it has in fact sold tea and other refreshments, including crayfish sandwiches and hot meals. 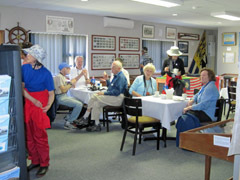 Special events, like retirement parties or receptions have been held here. 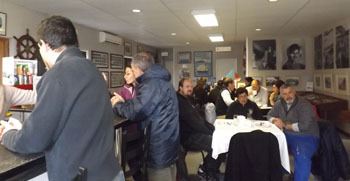 So the new name Café da Cunha seems far more appropriate and will perhaps make the resident French manager of the CTBTO Station feel more at home.